We’re joined by Daniel Gould from @Sofabet and Tobias Larsson (@tobsonhelsinki) to discuss this year’s automatic qualifiers. 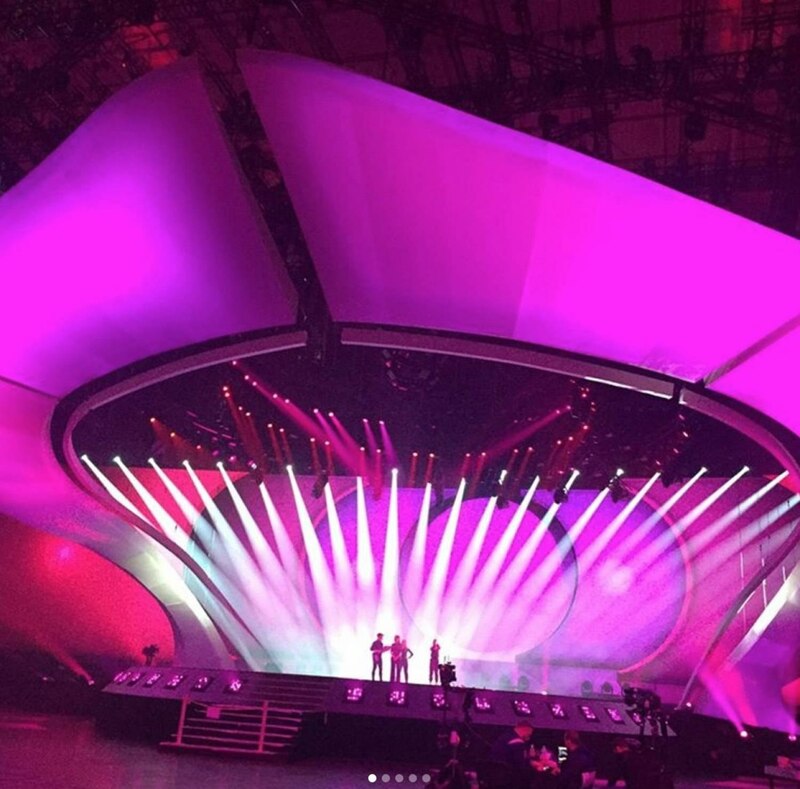 Open your Eurovision betting accounts and get free bets here. 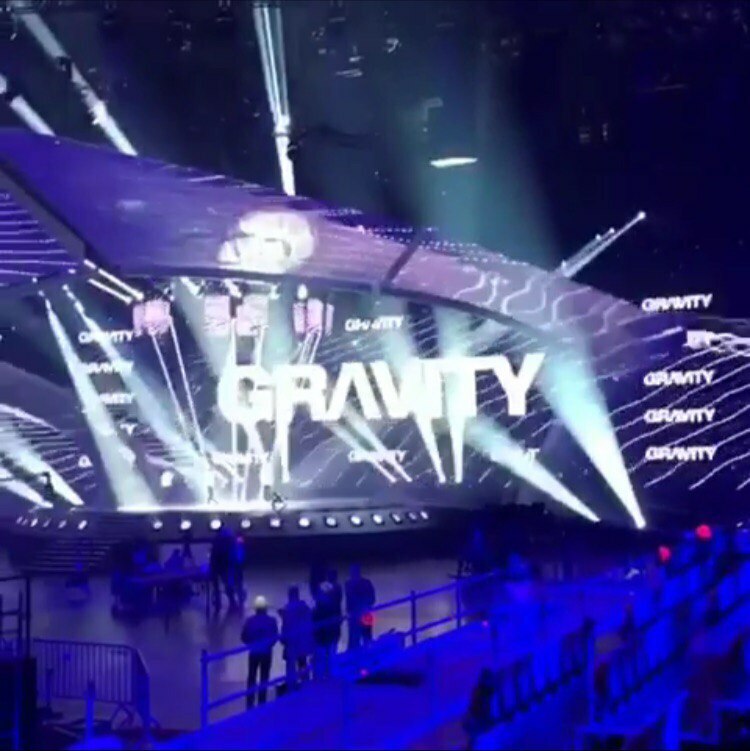 Cyprus entry is called Gravity. More likely to be that than Azerbaijan? The Gravity titles have been shown quite a bit. The blackboard has Skeletons written on it, as well as other lyrics from the Azeri song. 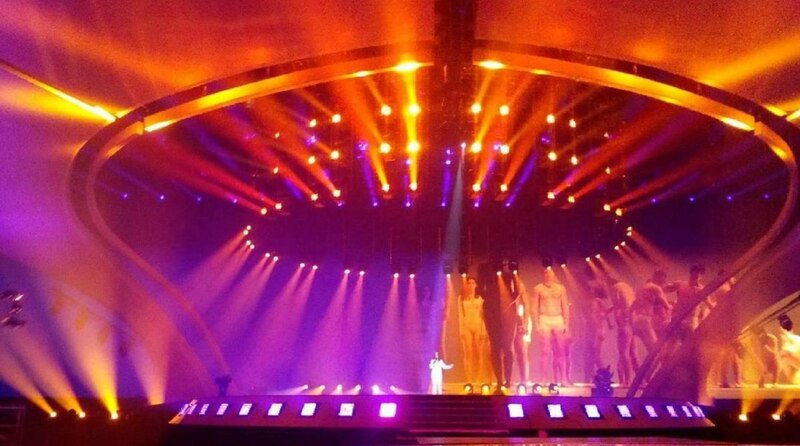 Nevertheless, this is a rehearsal of Azerbaijan. 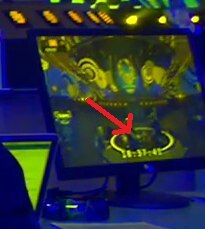 They’re both in SF1 so it seems like the just left up the backdrop for Cyprus while other countries (maybe without a backdrop ready) rehearsed. Where is it anyway? Delegations haven’t arrived but they check sound levels etc now with student singers, that is if it is Kiev. This is a rehearsal with extras – members of delegations who arrived in Kiev before the artists and stand in their place on the stage. I heard it in one of the news releases on the Ukrainian TV channel. 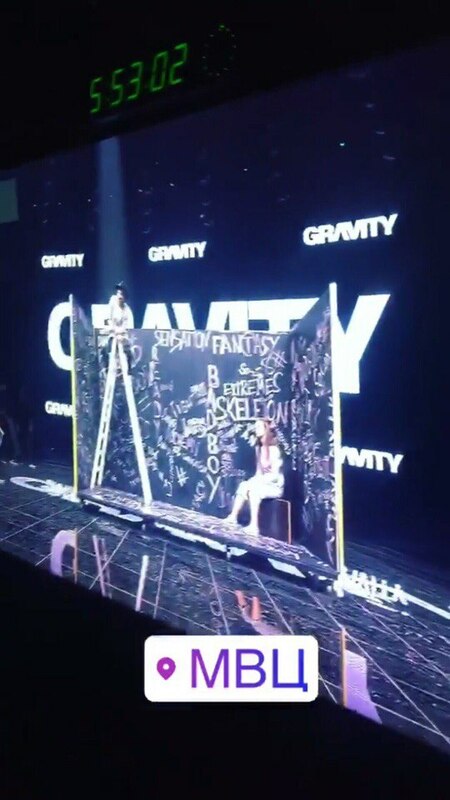 I don’t like Azerbaijan’s messy child designed blackboard. I do not like this too. And the design of the scene for Cyprus (If this is it) is also not creative. It turned out that this is the logo of the company responsible for multimedia. UK : I think they will successfully avoid the last 5 just about but I think their only chance of left hand side of the score board is if Finland fail to qualify in semi 1 and the UK get a second half draw. Either of these thing’s dont happen then no chance of left hand side of the scoreboard baring a staging miracle. Ukraine : I am almost certain this will hit the left hand side of the scoreboard, they have a strong USP of being the only rock song in the contest, have a late running order slot plus I can see juries being sympathetic towards it because of them being the host but lets not forget Ukraine and their history in staging and this is a song with potential to do well in staging. I think this will potentially sneak a top 10 but no more than that. 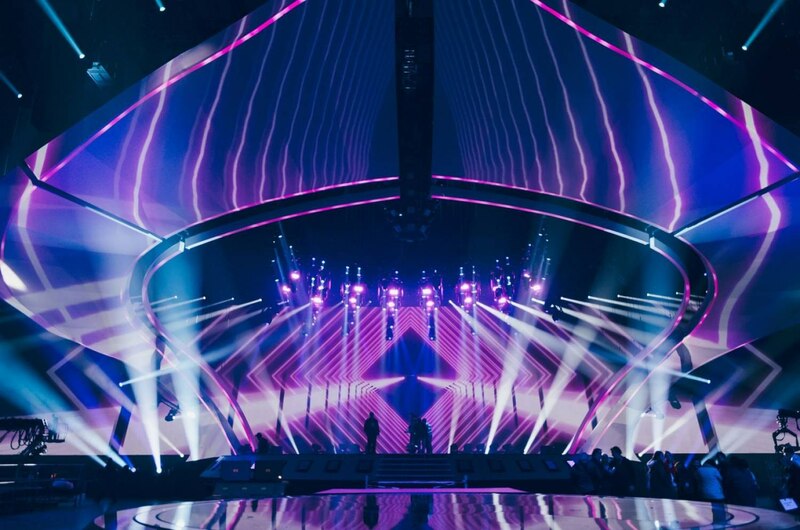 Germany : In a 26 song field this has no chance of avoiding a bottom 5, like Daniel said I can’t see enough juries liking this just just sneak it away from last place but that will be bitter sweet as it will be 2nd last probably. France : I had ruled out top 10 prior to the pre parties as I felt her live performance in Kyiv looked very empty and the remix destroyed it. However, her performance in the parties have given me hope for France and now with a good running order I can see them sneaking a top 10 but I really can’t see them beating Amir’s record, he came top 3 in the jury which Alma just wont match and it won’t beat Amir’s tele vote either. Italy : What can you say? This is the most obvious winner we have had since fairytale, it will take some bloody brilliant staging from another country in order to somehow stop Francesco. Tobias….Spain, “nice and summery”? Es una canción de mierda…..
Germany is just bland and inoffensive, but Spain is positively awful….I think it´s a toss up between the two of them for the wooden spoon…. but I hope it´s Spain. RTE: Take a cue from Salvador over in Portugal and go back to your own language. Or even RTVE….was not suggesting the Irish sing in castellano..! Well Portuguese people speak Portuguese every day where Irish people mostly dont which is a big difference, hard to imagine us finding a decent Irish language song without picking a few hopeless dud’s first. Best example would be Australia, just pick entries that that will do well in juries + pick good singer’s to sing them and then stage them very well to the extent that tele voter’s will understand it’s quality and vote for it. Cheers Shai, I’ll add the correction in our next podcast: Melfest 2018 Preview. This year will go one of two ways – Italy stroll off into the distance as per Euphoria or Fairytale OR we get another 2011 where the hot fan favourite fails to connect with the voters (remember this year’s fav is in Italian, the current Eurovision fan favourite language and we know what the song is all about but those 99.99% of one off viewers might well see this as a charismatic guy dancing with a gorilla, full stop). If Italy don’t win this, this year is blown wide open! Another informative and entertaining podcast Gav! I’ve little to add to what’s been said. I can see Italy romping home well ahead of the rest, however the top 3 market is all to play for. To my mind, Bulgaria, Portugal, Sweden, Armenia, Azerbaijan and possibly Romania are all in the mix to round out the podium. Only once rehearsals start to show us who’s really brought their A game, can I afford to shorten that list. 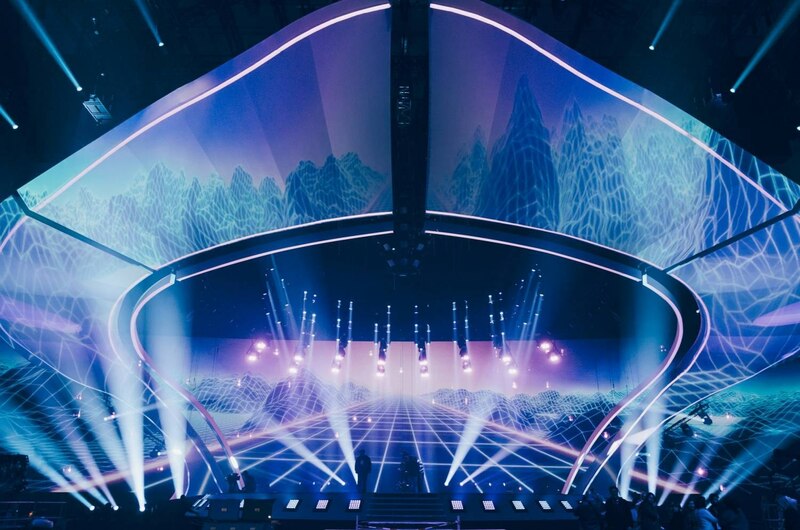 UK – While, thanks to Lucy, this could do jury top 10 – the televote and the UK’s lack of allies may pull this down. I have this 17-21st. France – I’m more pessimistic than the panel. The song is not as accessible as Amir’s last year and for me is more akin to last year’s Italy. The other comparison is Amandine from 2013 who arguably had a higher quality song. Amandine came 12th with the juries but 25th with the televote. France’s jury and televote this year could follow a similar pattern to the UK. For that reason I have it 17-21. Ukraine – My ‘scientific’ analysis has surprisingly churned out a 12th place finish for Ukraine. Why? I would imagine – voting allies, some jury love for an authentic and well performed slice of rock that is distinctive in the contest, and the likelihood of strong staging. The overall contest – my ‘foolproof’ method has (pre-rehearsal) come up with Italy 1st, Bulgaria 2nd and Sweden 3rd. Other top 5 contenders are Australia, Romania, Armenia and Portugal. Currently Denmark, Norway and Latvia round off my top 10 with Estonia and Ukraine also in contention for a top 10 place. I can’t rule out Hungary, Greece, Belgium and FYR Macedonia for top 10 on the basis that there are too many unknowns around these entries. Belgium and FYR Macedonia could easily fail to qualify for the final but, if they somehow get their act together staging and performance wise, they have strong enough songs to compete for top 10. Effective staging could mean Greece doing a lot better than I am currently predicting. With Hungary I am struggling to estimate the televote appeal of the song. Will it be a siren call to a Roma diaspora and, if so, just how big a voting bloc does this diaspora constitute? Looking forward to the coverage from Kyiv, Gav. To my list of possible top 10s I should add Poland. I reckon they’ll need to get around 160 televote points to get there. 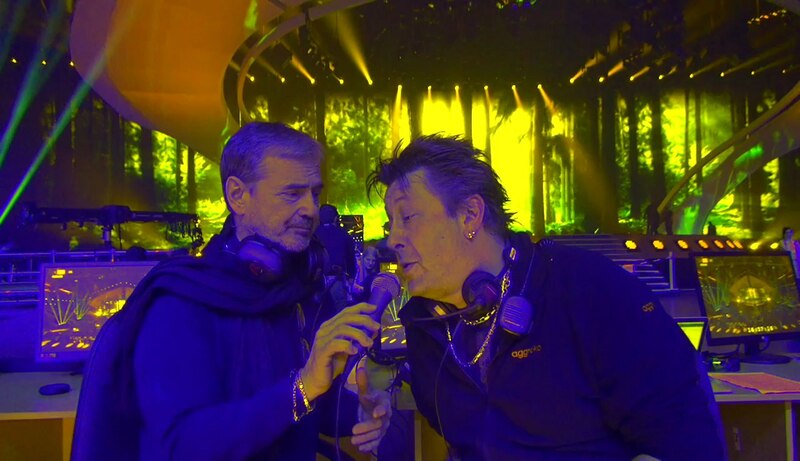 They managed that in 2014 – admittedly with a song that had a wider appeal to the non-diaspora – and then again in 2016, where Michal somehow got 222 televote points. Most of these extra points seem to have come from ‘voting ally’ countries. Whether the diaspora voted in bigger numbers or the host populations also weighed in to support him, I don’t know. With hindsight, a number of people are saying his song was actually quite good. No, folks it wasn’t. It was equally as pants as this year’s entry, so if Michal can get over 200 points last year, who’s to say that Kasia can’t repeat the feat in 2017. Could not agree more. I thought Michal was by far the worst song last year. Performed OK but a horrible outdated mess of a song. Germany finished last because she looked utterly ridiculous and people were too busy laughing at her to actually vote. The song was actually beautiful. The Polish song this year is one of the worst of the bunch imo but is still better than last year’s effort so diaspora could still have an effect with them. I hope not!! Michal appealed to young women and surprisingly enough males in the pre-party audiences loved to sing along with the song. He got the fastest rising support in his social media platforms, and I’m certain that it’s because of how photogenic he is. He looks like a male model and is an incredible vocalist (watching back some of his old performances). Kasia doesn’t fish in either of the Michal’s pools, so I can’t see the entry going far despite Kasia being an impressive vocalist and a very nice person. Very very rough top 10 before rehearsals.Italy should win easily,but it still means voting for a man in a monkey suit and that does leave a small nagging doubt.Iv structured my book Italy very small green,half a dozen behind (in my opinion) big greens.If Italy do win as expected the outright will be a shrug of the shoulders year. Uk- Top 10 if drawn and staged well, potentially higher. Interesting that the top five in the odds are all male which certainly will not be the case. Uk top female not impossible. Could surprise. Spain – utter garbage but the worst song rarely finishes last. Has a little niche, but still bottom five. Germany – The hatrick is on. Is not the best at anything, there is no reason to vote for this. I think the same again. Somewhere around 20th. France – I fear that the televote will let this down like most French entries. Mid table. Italy – Definite Top 5. Not a certain winner and not a Rybak. Beatable, but the list of countries who can finish higher grows shorter and shorter.